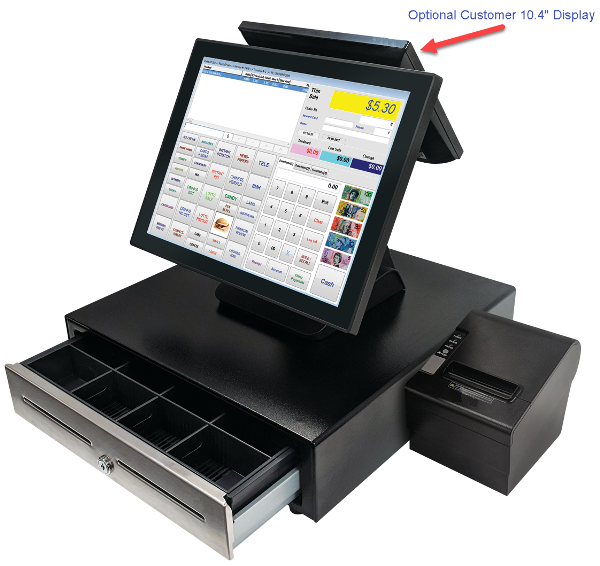 The Tablet POS System offers maximum capacity and flexibility. The user friendly POS touch screen can have an almost unlimited number of items preset for 'one touch registration'. A physical keyboard is not required as any manually entered prices or product searches can be done via the on-screen keyboard. Over and above a standard Cash Register, the Tablet POS System offers a very easy to use POS interface, menu ordering instructions / modifiers, food & beverage order printing, table tracking, bar tabs, extensive order numbering or naming features, automated email security alerts, extensive current and historical reporting, preset specials by date range including combo specials and much more. Optional software add-on modules include: EFTPOS Link, Stock Control, Customer Management & Loyalty Software, Lay-By Software. 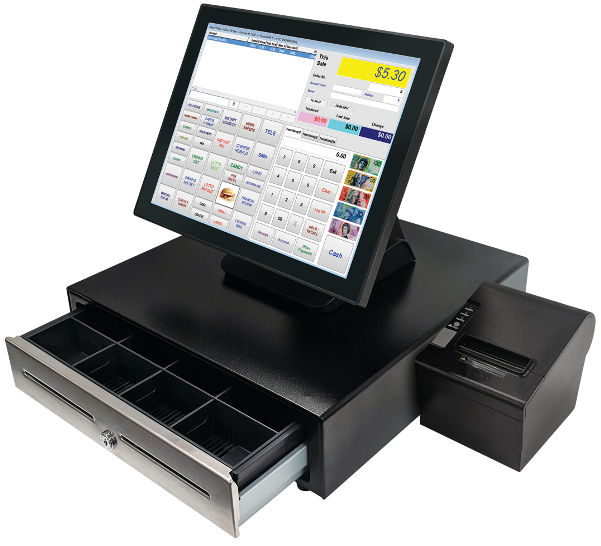 Optional POS hardware such as EFTPOS, Scanners, other Tablet POS Terminals and Computers, Customer Pole Displays, Order Printers and more can be added. Ideal for a very wide variety of business types: Cafe, Restaurant, Fast Food, Bar, Juice Bar etc. Almost any hospitality or retail store environment can be catered for. An optional Barcode Scanner can be added. The feature list of the Tablet POS System - "Package A" is extensive. Some of the main features are listed below. Initial Programming and setup is included in the price (Receipt Header and System Options). 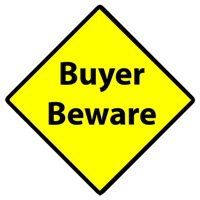 After your purchase, an Access POS representative will contact you to discuss the various programming options prior to freighting the Tablet POS System - "Package A".